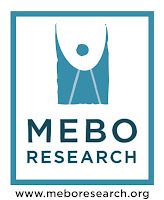 As a NORD Member Organization, MEBO Research is looking for volunteers to represent MEBO in participating in any of the Rare Disease Day 2013 (Feb. 28th)activities sponsored by NORD nationally. Anyone interested in participating, please contact Maria at maria@meboresearch.org. Washington DC, Jan. 4, 2013----Thirty years ago today, President Ronald Reagan signed the Orphan Drug Act into law to encourage the development of treatments for the millions of Americans with rare diseases…To get the law passed, an ad hoc coalition of leaders of rare disease patient organizations gave themselves a name -- the National Organization for Rare Disorders (NORD) -- and taught themselves how to be advocates for the desperate patients and families they represented. Actor Jack Klugman, whose brother was dying of a rare disease, lent his support with an episode of his popular TV show, Quincy, M.E., dedicated to showing the need for treatments for rare disease patients. Klugman later testified before a Congressional subcommittee and, when the bill became stalled in Congress, aired another Quincy episode that helped get the bill passed. 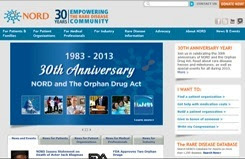 NORD's year-long observance of the 30th anniversary will include a special section on its website where rare disease patients, researchers, and will be invited to share stories about rare disease milestones and achievements. On Rare Disease Day 2013 (Feb. 28th), which NORD sponsors nationally, there will be special activities to honor the history of the rare disease community… In the decade before the law was passed, only 10 new drugs were developed by industry for patients with rare diseases. Since 1983, more than 2,700 potential treatments have entered the research pipeline as "orphan products" and more than 400 have been approved by FDA. "During this anniversary year, NORD will move forward with renewed commitment toward the development of safe, effective treatments for all, and assurance that all patients with serious medical problems will have access to the treatments and services they need." NORD offers a list of benefits to its member organizations, including advocacy, policy development, critical issues analysis, education, opportunities to connect, research support, member organization visibility, and Voting privileges. The least we can do is to support NORD in this joyous celebration, and to say "Thank you" for all you have done for patients of rare diseases. If you are interested in being a part of this celebration in Washington DC either by attending or by assisting the preparations of the event from your own home, please contact me.